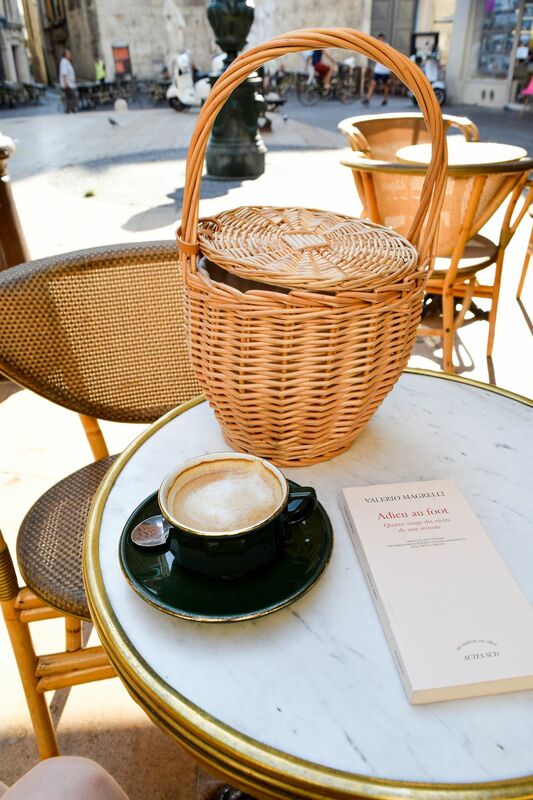 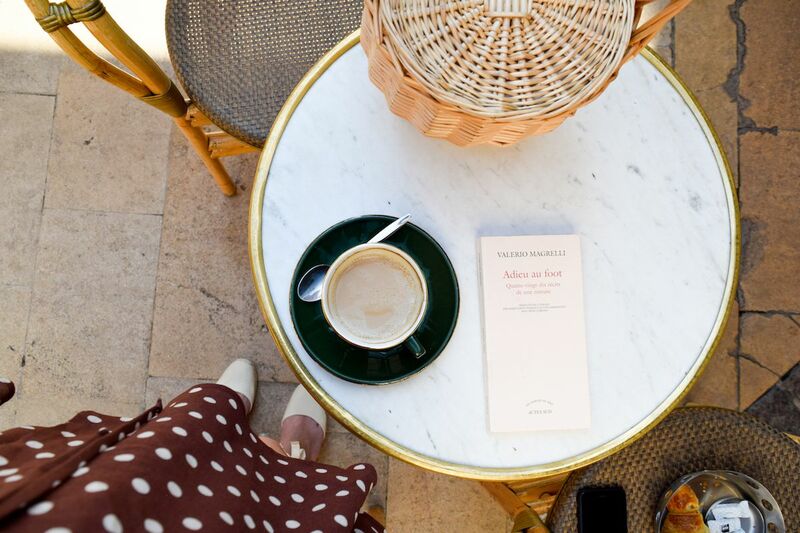 I loved spending my morning at the Place aux Herbes (not even sure if it’s officially called that), and sipping coffee on an old French bistro table at Bar des Beaux Arts. 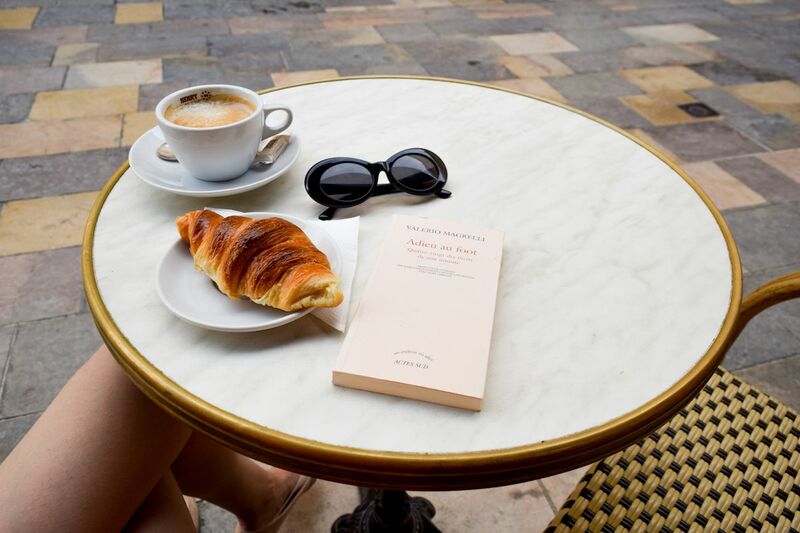 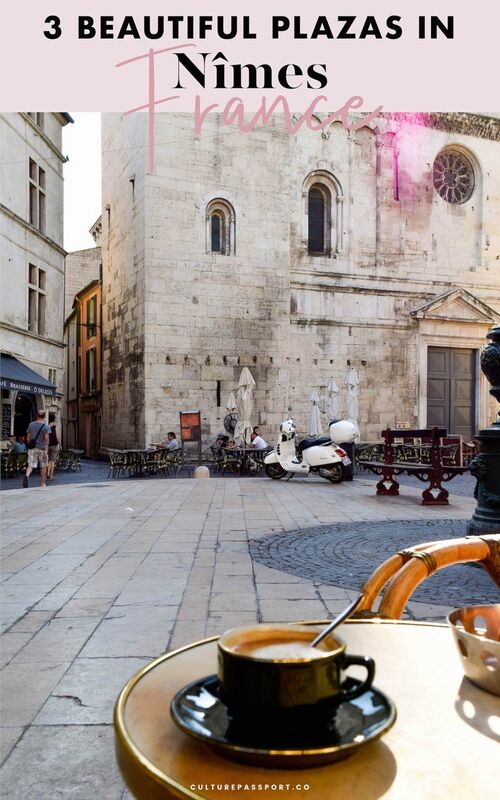 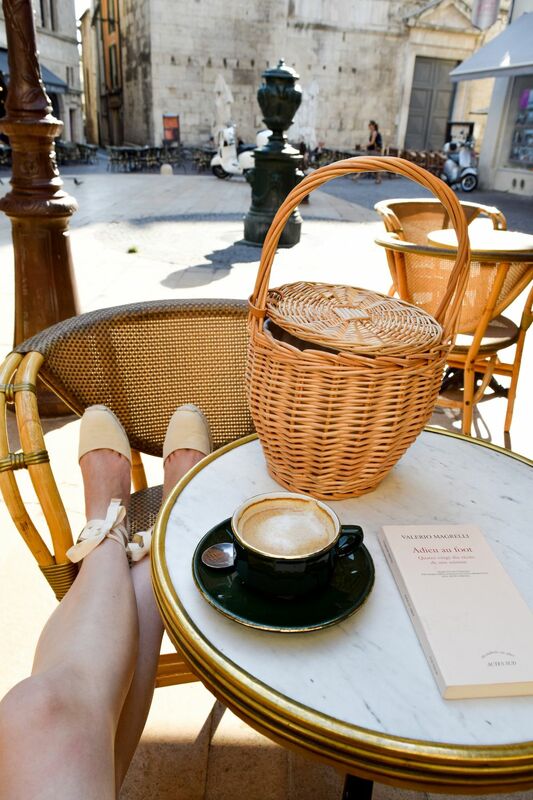 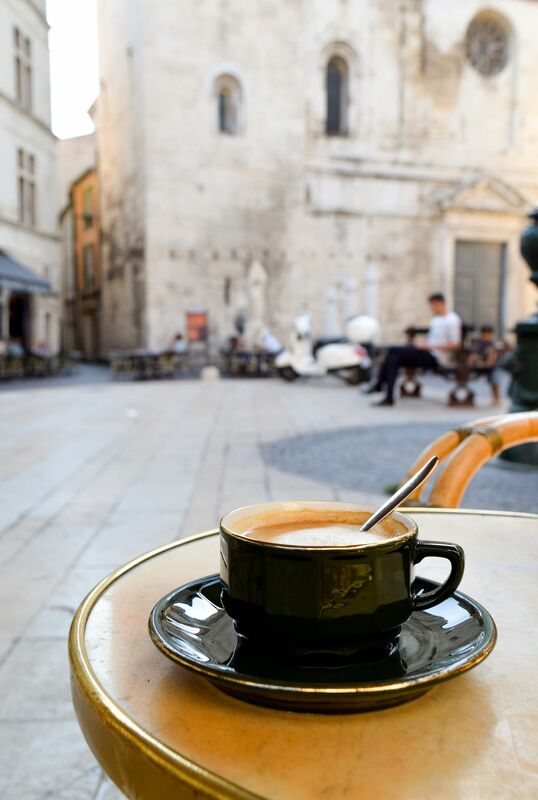 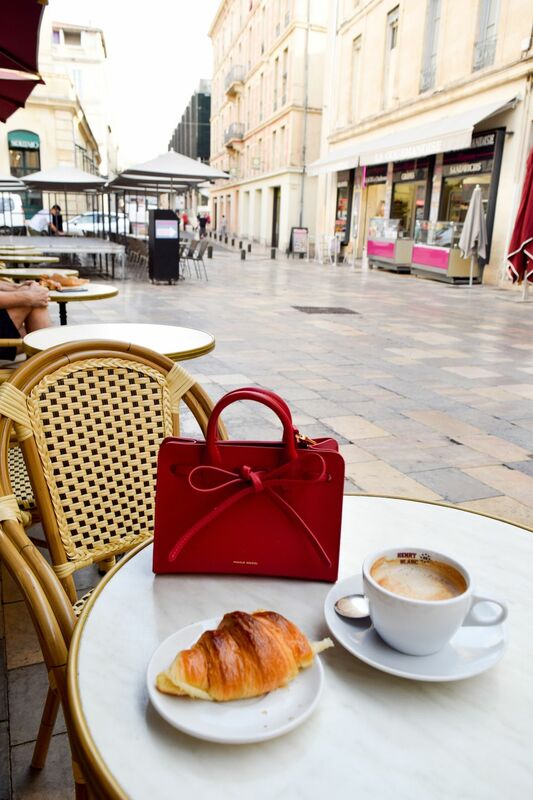 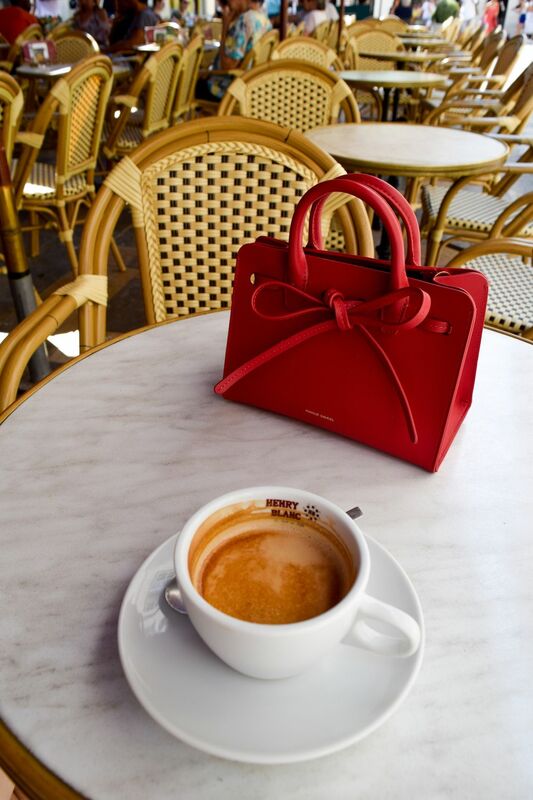 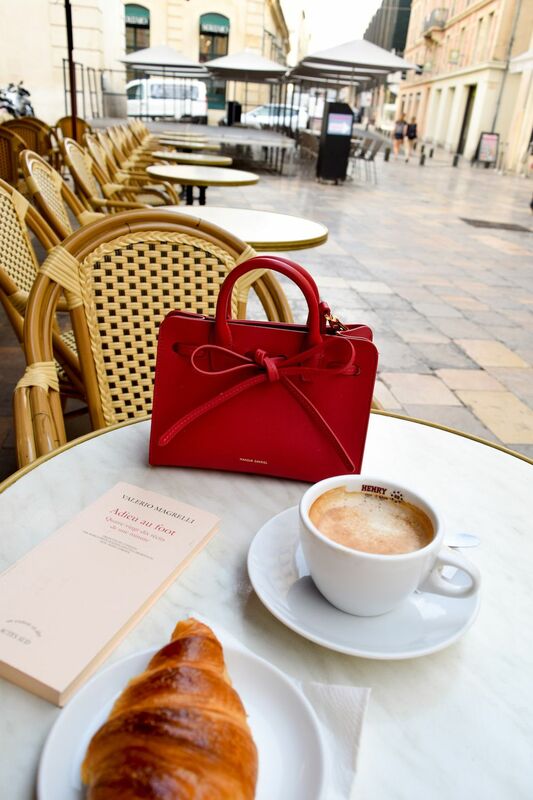 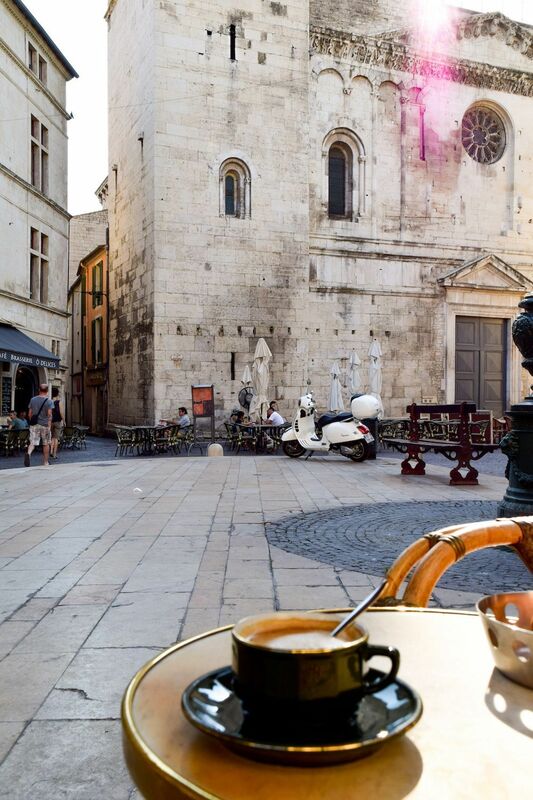 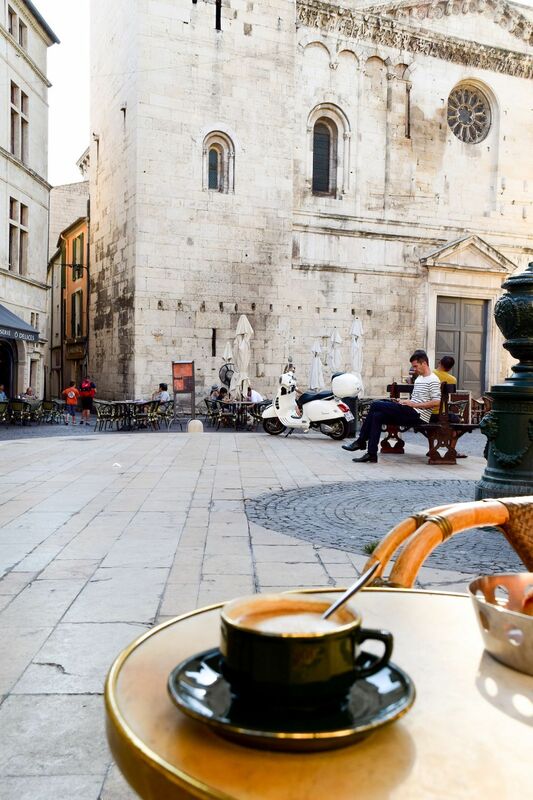 This lovely cafe sits across from the stunning 17th century cathedral Notre-Dame-et-Saint-Castor. 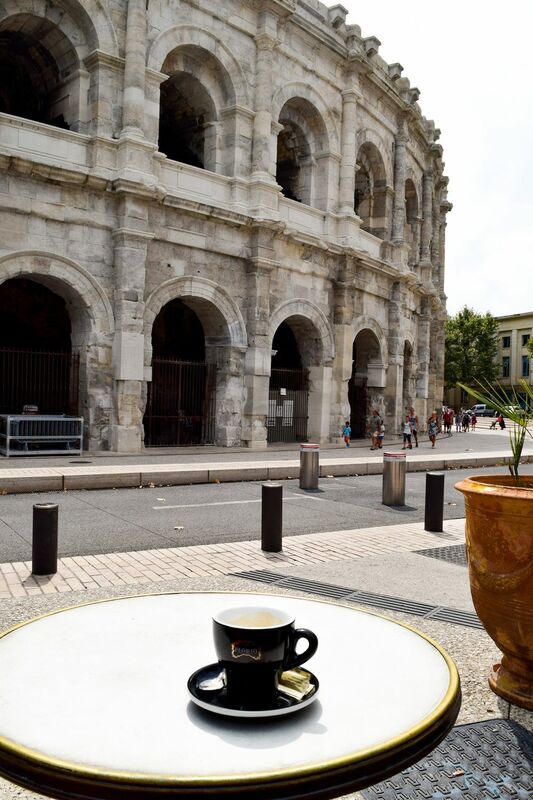 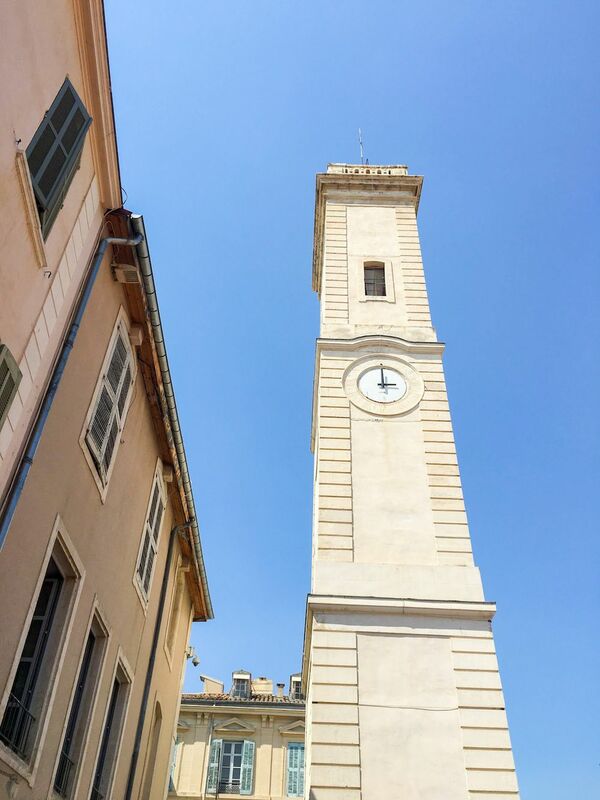 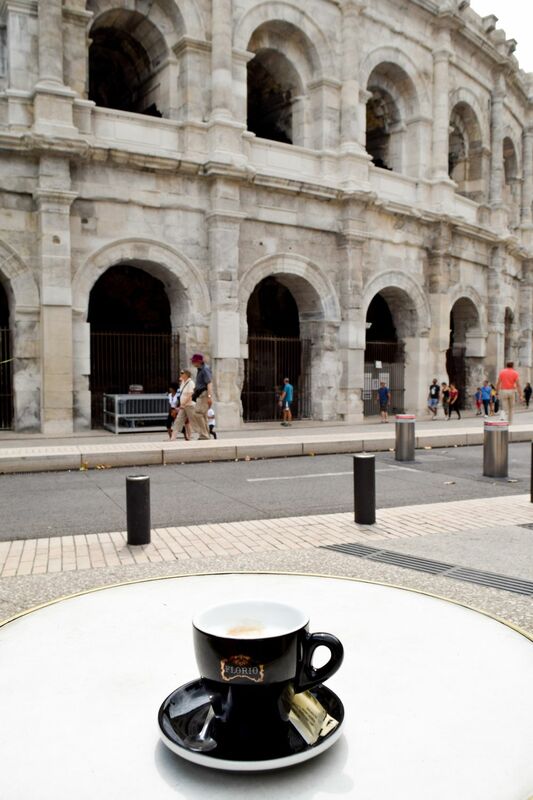 After touring the Nîmes amphitheater, have a drink at the nearby café, Grand Café de la Bourse, where you get a fantastic view of this ancient Roman structure.